We have been waiting for this moment since the first day of Kindergarden!! I can’t believe Natalie lost her very first tooth. 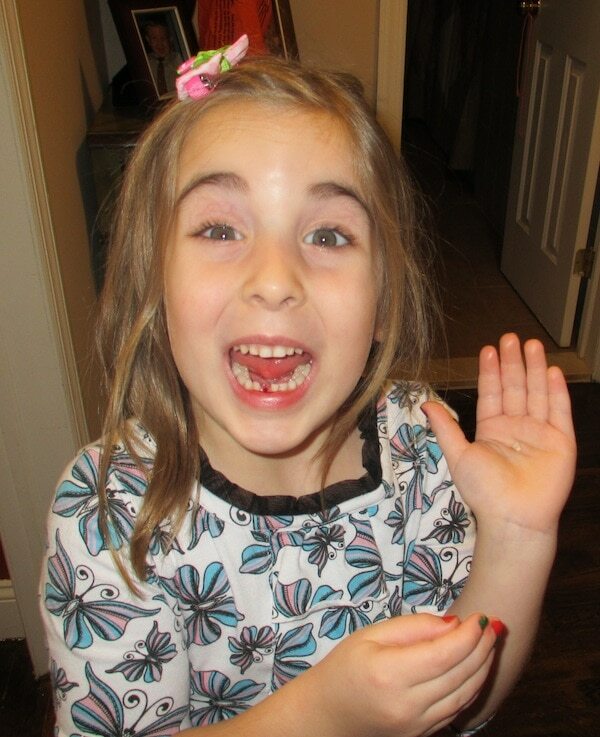 She is literally running around the house screaming, “THE TOOTH FAIRY IS COMING!! THE TOOTH FAIRY IS COMING! !” I don’t know what she thinks is going to happen tonight – but whatever it is… it’s magical. Whatever u leave under her pillow I hope she will appreciate and always fondly remember.